Venerable Chang-Hwa is the Director of Chan Meditation Center. 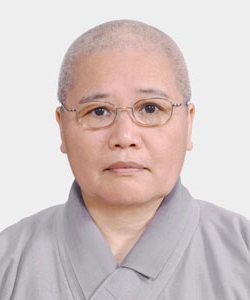 After completing monastic education at Dharma Drum Sangha University in Taiwan and receiving full ordination in 2005, Venerable served as Director of the Department of International Relations and Development in DDM Taiwan. In addition to her current position as Director, Ven. 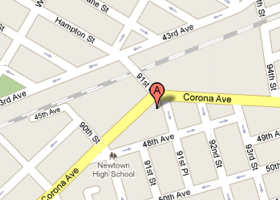 Chang-Hwa also supervises DDM Dharmapala Groups in North America, gives public lectures and leads meditation programs. Venerable Chang-Hwa holds a Ph.D. in Biochemistry from the University of North Carolina at Chapel Hill. Venerable is fluent in Mandarin, Taiwanese, and English. This is Venerable’s second term as a resident monastic at Chan Meditation Center (CMC). Venerable Guo-Sheng graduated with an MBA from the University of Detroit in 1980. Venerable became a Buddhist in 1987 and served as a volunteer at CMC for 11 years. In 1998, Venerable entered Nung Chan Monastery in Taipei as a novice and received full ordination in 2000. After 3 years monastic training, Venerable returned to CMC and served as Director and Treasurer from 2001 to 2004. From 2004 to 2011, Venerable served as Resident Master and a Counselor for the female students of Sangha University at DDM World Center for Buddhist Education. Venerable speaks Mandarin and English. 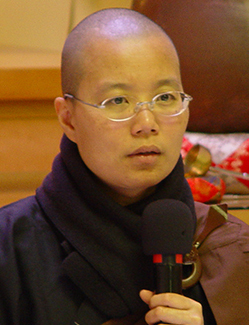 Venerable Chang-Hsiu entered the Dharma Drum Sangha University (DDSU) in 2003. In 2006, Venerable received full ordination. After graduating from DDSU in 2007, Venerable has served in Department of Dharma Service DDM Taiwan, Nung Chan Monastery and Dharma Drum Institite of Liberal Arts. She became a member of the Chan Meditation Cente in New York since 2017. Venerable speakes Mandarin and Taiwanese, and understands English. Venerable Chang-Hao entered the Dharma Drum Sangha University (DDSU) in 2003. In 2006, Venerable received full ordination. After graduating from DDSU, Venerable has served in different positions at various DDM offices and centers in Taiwan, such as in Zhai Ming Monastery, Dharma Service Affairs Office and Sangha Education Department. She became a member, as the chanting leader, of the Chan Meditation Cente in New York since 2017. Venerable speakes Mandarin and Taiwanese. Venerable Chang-Zhai entered the Dharma Drum Sangha University (DDSU) in 2008, mainly studying under the Chan Practice program. In 2010, Venerable received full ordination. 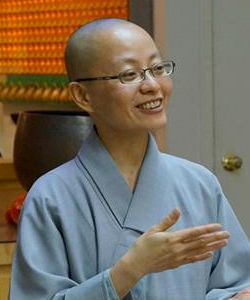 In 2012, after completing a 4-year monastic education at DDSUniversity in Taiwan, she returned to the U.S. and has served as a member of the Chan Meditation Center in New York until now. Venerable speaks both Mandarin and English.